Andorra is a small land-locked country between France and Spain. It’s official language is Catalan, although Spanish (Castillan), French & English are widely understood. Road: There are only two roads into Andorra. From France. Enter via Pas de la Casa. Note that this road is prone to closures in theu winter after storms and the French do not always seem to bothered to clean it quickly, Chains are required in winter. From Spain. Usually one would go via Lleida and then take the road via La Seu d’Urgell. This road is normally open and in very good condition. Up to Lleida it is mostly motorway, and from there most of the road is single lane. Try to avoid Friday afernoons coming into Andorra or Sunday afternoon leaving - a 45min drive can turn into 3h (you have been warned). Train: There are two options both which are from the French side. 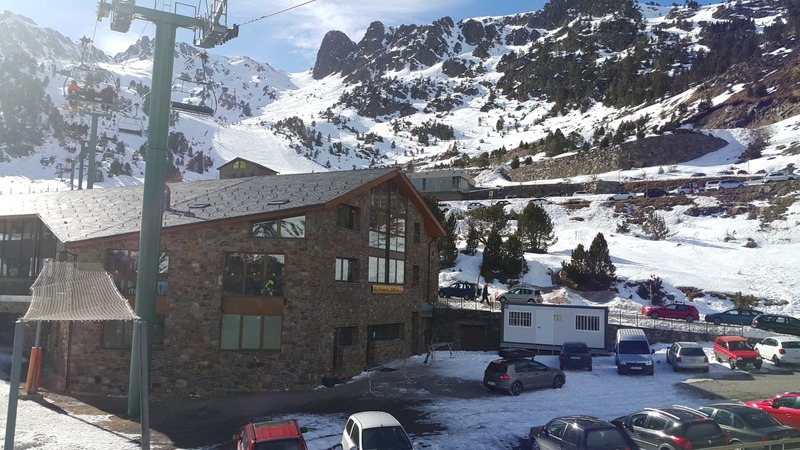 The first option only option is to get a train to L’Hospitalet (France) and then take the connecting Montmatell bus which gets you to certain Grandvalira towns or the central bus station in Andorra la Vella. From the latter you need to use local transport or a taxi to get you to your final destination. This route has the advantage of getting an overnigh sleeper train from Paris, so you don;t have to waste a hole day of travelling. The opther option is to get a train to the Toulouse Matabiau station. 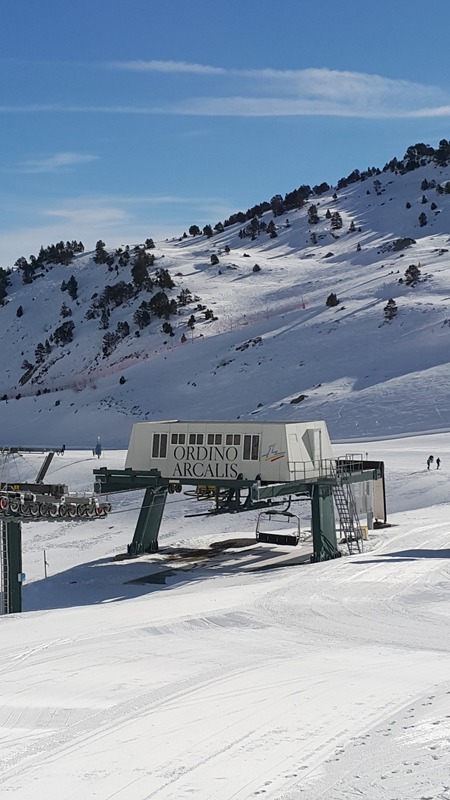 From there you can get a connecting Andorrabus to any of the Grandvalira towns or to Andorra la Vella, or even to any other village. You might need to change in Andorra la Vella, but this should be included in your ticket. One can even travel from the UK on Eurostar to Paris and change trains to Toulouse. Air: Fly to Barcelona, Toulouse, Girona, Lleida or Perpignan and get the bus from there. Novotel runs a service from most of these airports and you can book online. Practically the best two options are either Barcelona or Toulouse as they are derived by the larger airlines. and served by the excellent AndBus services. If you fly budget lines, Girona might be better. My preference is Barcelona as the chances of delays due to closed roads are far less than Toulouse. Transit to Andorra la Vella is 3h in most cases. (it is only 2h from Lleida, but you probably would lose time due to a transfer in Palma). The long-distance AndBus services have wi-fi onboard. Once in Andorra-la-Vella you can transfer to a connecting bus. There are two major areas Vallnord and Grandvalira. They have separate lift passes, although a special pass called SkiAndorra can also be used which are valid at both. Pistes are graded as green, blue, red and black. Avoid the green slopes if you are on skiboards. 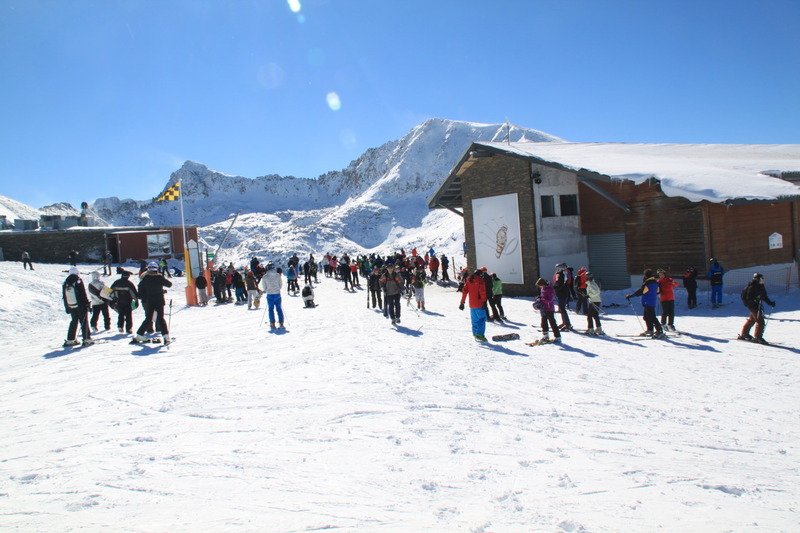 Grandvalira: This is the largest connected ski area in Andorra. 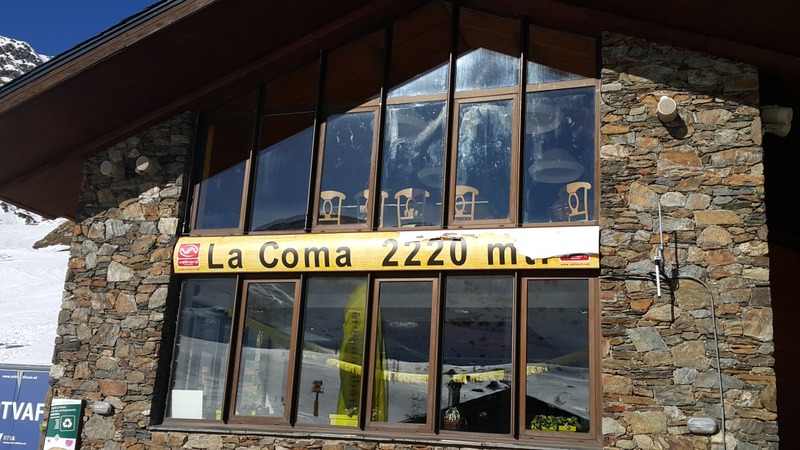 People usually say that one should stay in Soldeu as it is neraly ski-in and right on the lifts, but my personal perference is to rather catch the 20min gondola ride from Encamp as the top is less busy and more interesting rides. Red slopes on top can be pretty steep and narrow in places. 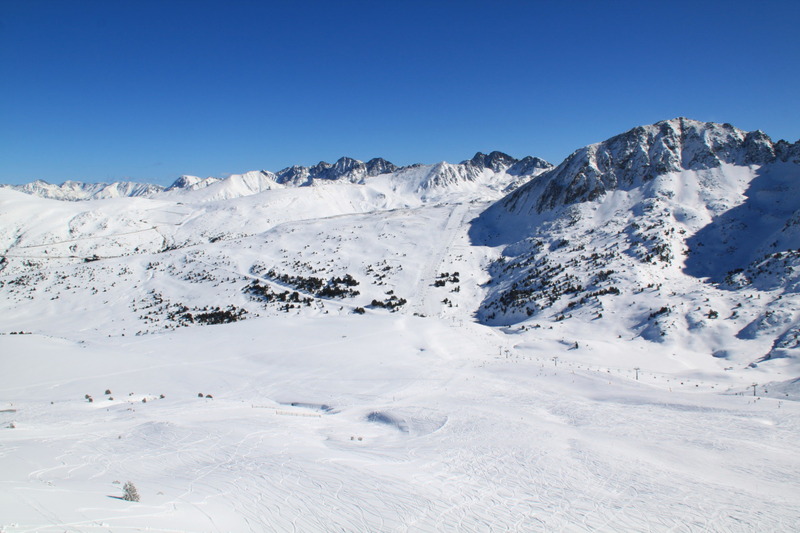 Grandvalira is characterised by wide, open areas. THere is alot to be had by riding in between pistes. 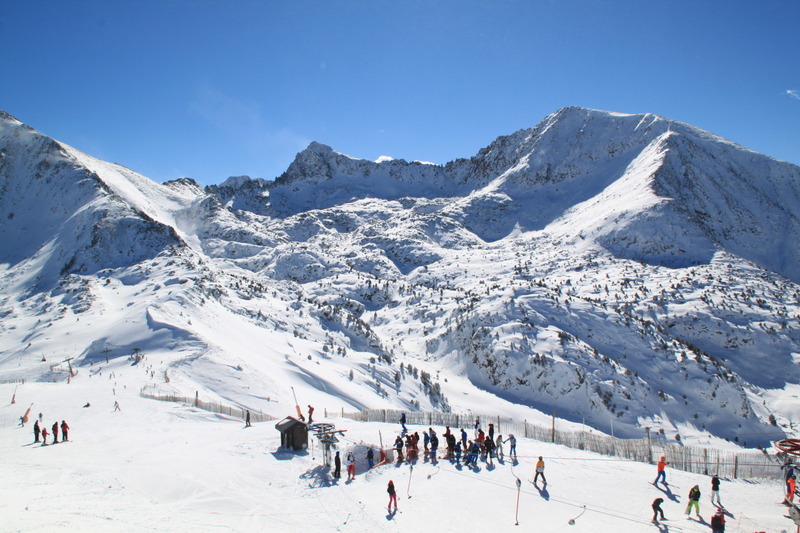 Vallnord: This area consists of Pal, Arinsal and Arcalis. Pal & Arinsal are linked by cable car. 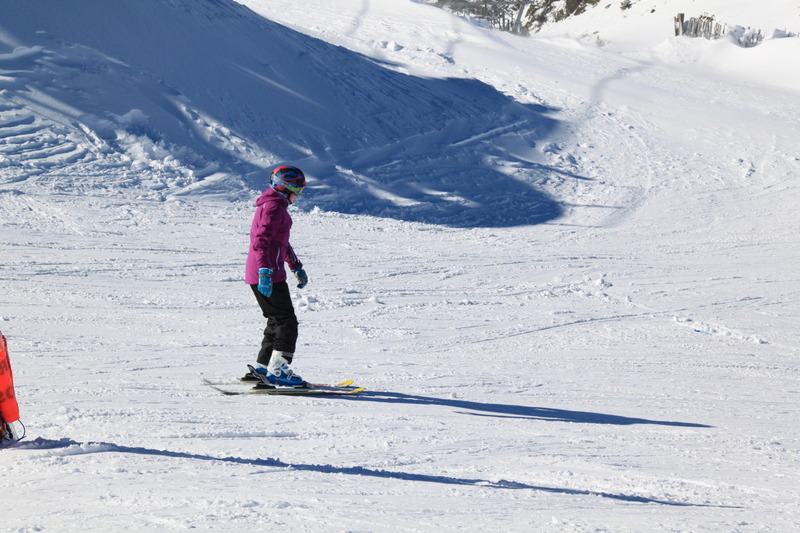 Vallnord resorts tend to have green pistes specifically for beginners to get around and practice on. Pal has a variety of blue and red slopes and only one black slope, but it is possibly to do a lot of tree-riding. 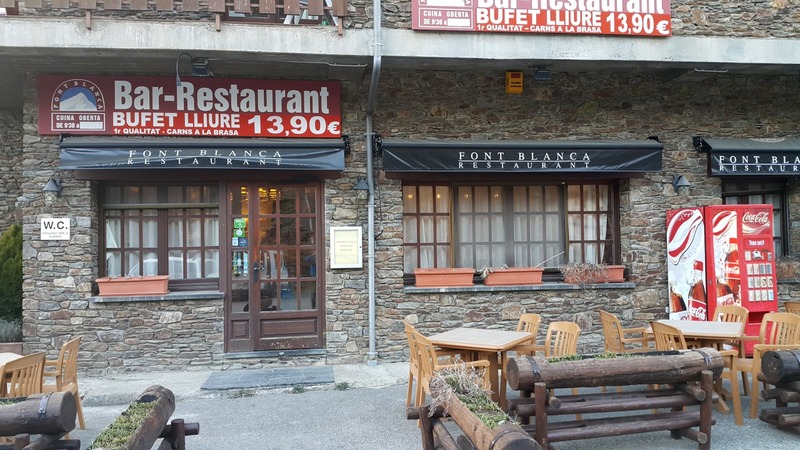 It is also serviced by a gondola from La Massana, which is an easy option if you don't have a car and want to stay in a town with a bit of apres. Arcadis is my favourite by far. It is north-facing, ess touristy, has ample free-riding and is locate in areas of great beauty, both summer and winter. Try to avoid it in days of wind or low-visibility. 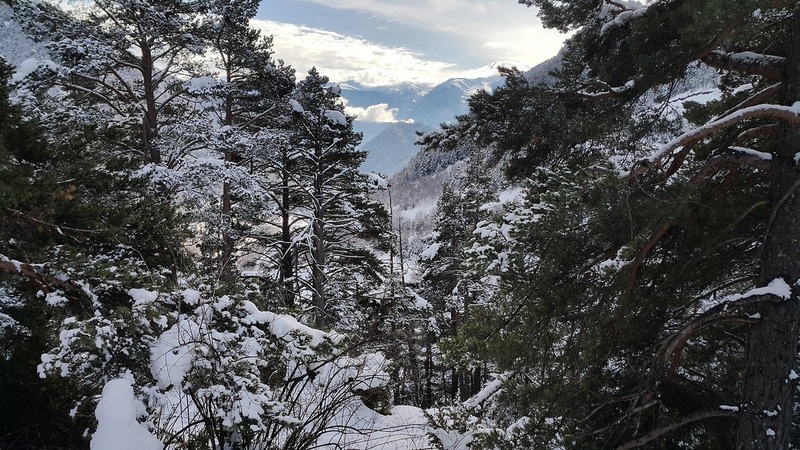 You’ll need a car (possibly with chains) to access it, or you need to catch the Vallnord bus, that runs all the way from La Massana up through Ordino, Llorts, El Serrat etc.) The bus is easy to get from the main road. Excellent. No one is fussed. You might be overtaken by an irate Andorra or SPanish registered car on the way the resort, some Russian might ski right over the back of your beautiful skiboards, or some death-defying Polish person might fall over right in front of you, but now one will care that you are riding skiboards. No one will make derogatpry remarks (If they do, you probably won;t understand them anyway). Most lift entry points are well designed. I have only come across one which was flat with a little uphill, resulting in a lot of duck walking. They are also very open to the use of skibikes and snow scoots. These can even be rented at some shops (Bigfoot in La Massana springs to mind) or a 1h experience with an instructor can be booked at most resorts. Ski touring is also welcomes as long as you take care to move up the side of the piste. Booking.com and airbnb.com are good bets for DIY travellers. Lots of hotel and self-catering (look for places called aparthotel). 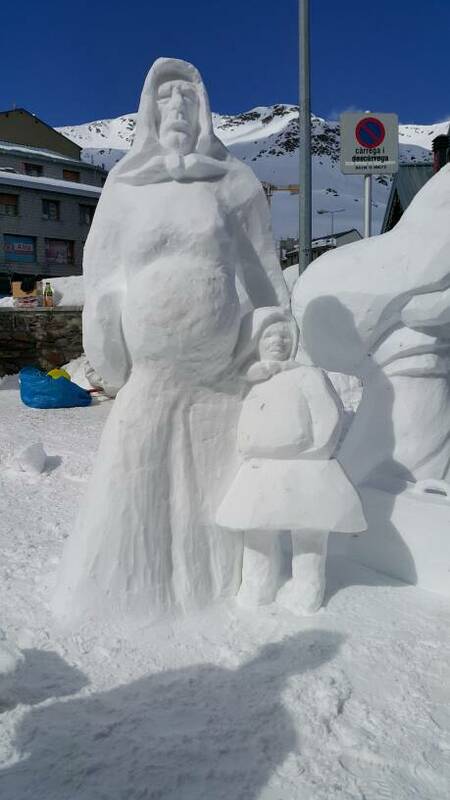 Andorrans are very conscientious about keeping the slopes safe - after all winter sports are one of their main sources of income. You can be held criminally liable if an injury to another person on a slope is your fault. Oh and btw crime is very low. Like most resorts in Europe you csn just leave you ski, snowboards and skiboards outside the restaurant and they will still be there when you return. Lots of good restaurants around and reasonable prices. Try to get off the mountain earlier en get into a restautant between 3pm & 5pm. Some restaurants will serve buffer or set menu during that time, which results in quite a bit of food (even by US standards). 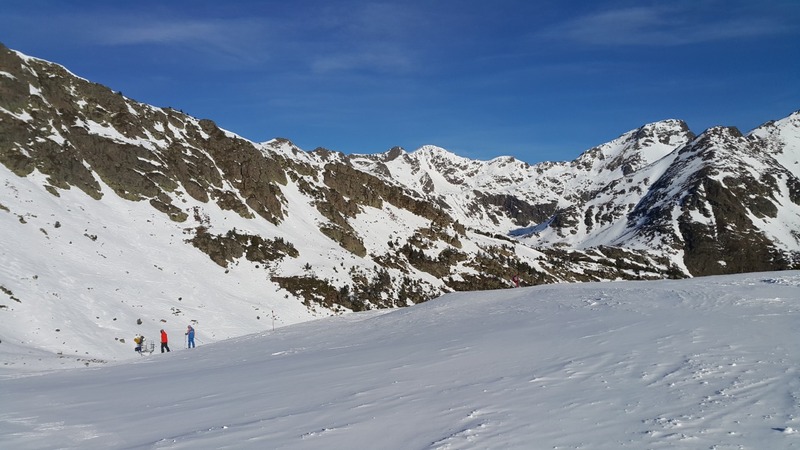 If you skiboarded in Arcalis during the day, I can particularly recommend getting off in La Cortinada or Arran and taking in a restaurant there. Burger? Do you really want a burger? Ok then, look for an AND Burger Zero joint. 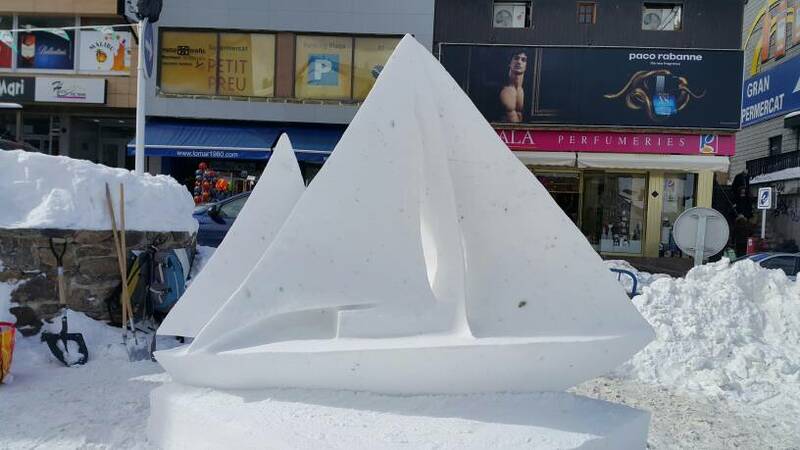 Andorra is steeped in history. There are 35 old Romanesque churches to see (some ~1000 A.D). It is easy to get around too by bus. Lots of places to walk. There is also a famous spa called Caldea, which is worth visiting. Try the buffet at this place any time from 2pm - 5pm. It is in La Cortinada on the road to the Arcalis ski area. 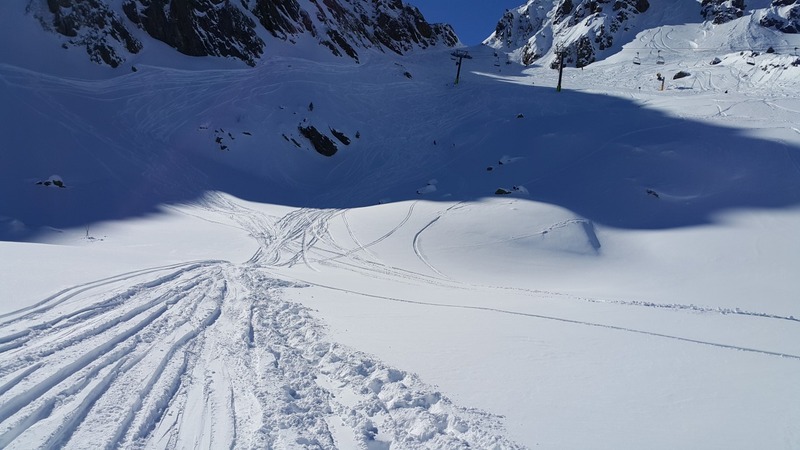 Arcalis has lots of free-riding if the conditions are good, otherwise it has some great runs on-piste and between pistes. Try to avoid it when the weather is bad. It can be very cold, with wind and low-visiblity. Better to head over to Pal-Arinsal on those days. You don't always have to skiboard here - snowshoeing is a good alternative. There are many paths around. Unlike many other resorts in the world, use of snowshoes are permitted in resort, as long as you keep to the side of a piste. One will regularly see people in snowshoes walking up the wide service roads, which usually are also marked as green pistes. Here are some views not to far from the Arinsal ski resort. The start to this is about 300-400m away from Josep Serra lift. 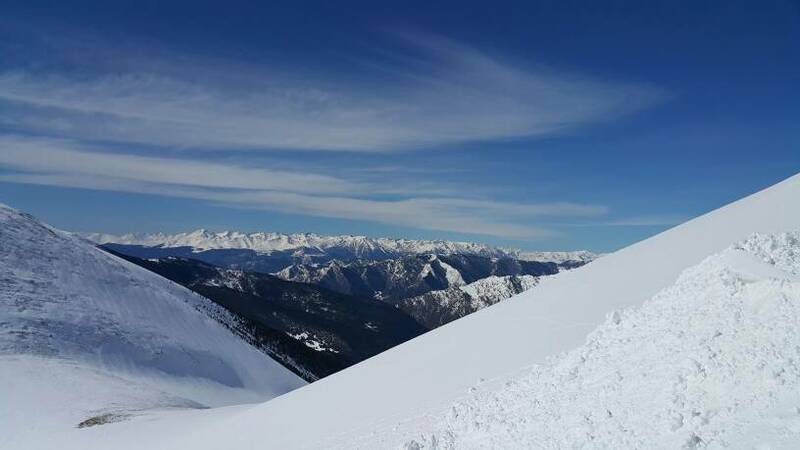 One of the best on-piste runs in Arinsal is to link a number of blue trails all the way from the top of the Port Negre chairlift or El Coll button lift. The total vertical drop is ~1000m. At the end of it all you can grab the Josep Serra chairlift to get you back to the main resort. The picture is from the skimo map, but the red dotted line shows the total route much better than the normal piste map. Yhis brings with it a warning. 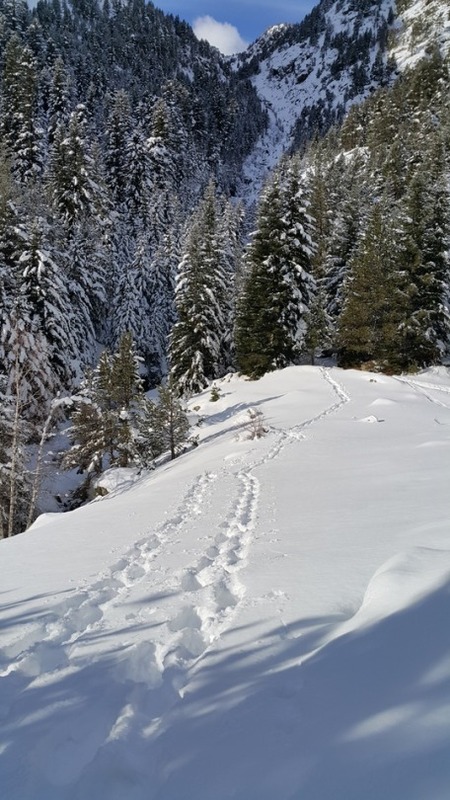 You are likely to encounter backcountry skiers using the route as an approach. They will, by convention, keep to the side of the piste during ascent, but be on the lookout - they have as much right to be there as you. 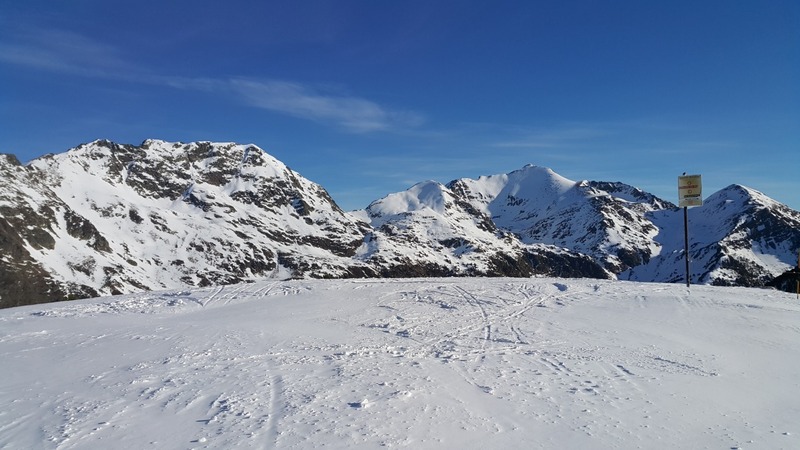 (1) The normal approach is to take the Les Fonts chair lift and ski off to the right to pick up the Port Negre chair lift a couple of hundred metres down. 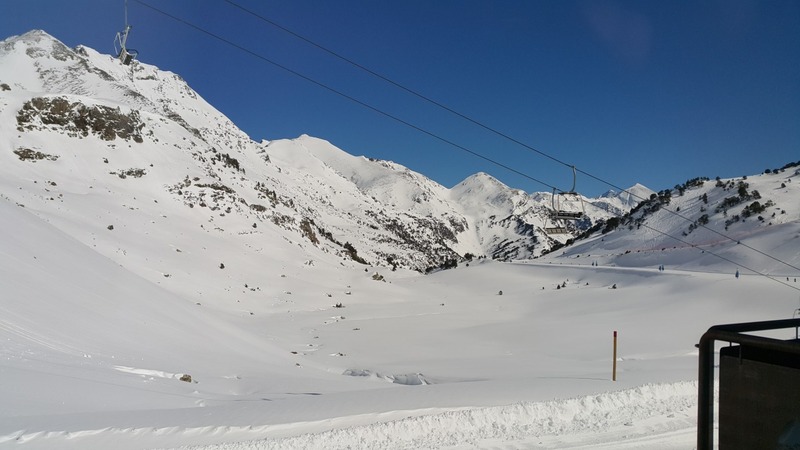 (2) You can save time by picking up the El Coll button lift instead which is about 150m from the exit of the Les Fonts chair lift. This is much faster, but beware that the drag is steep. (3) On busy days the La Tassa chair lift is usuallu open. 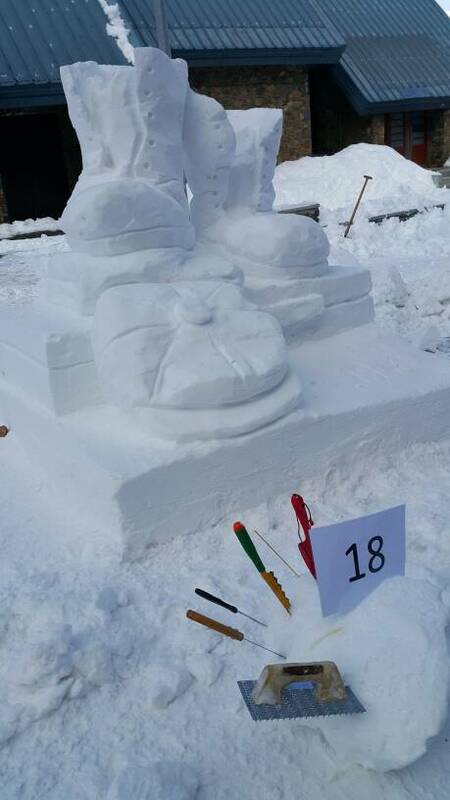 It is situated next to the entrance of the Les Fonts lift. Exit La Tassa to the right and ski the odd 30m across to the start of Port Negre. Follow the blue run (Port Vell) from the top a avoiding the steep exits to red and black runs. As the blue run steepens, most people will exit right on to the wide blue (Les Fonts). For some peace, gain some speed and hit the small slope on to the narrower blue run (La Solana). This is a service road and an easy ride down ending in a sharp right before meeting up with the traffic on Les Fonts. Continue down the blue using as much of the space as conditions permits, but keep an eye at eventually going left. You will need to pass through the beginner zone, so be careful. Depending on the day you can sometimes carch the green slope on the left to avoid traffic. 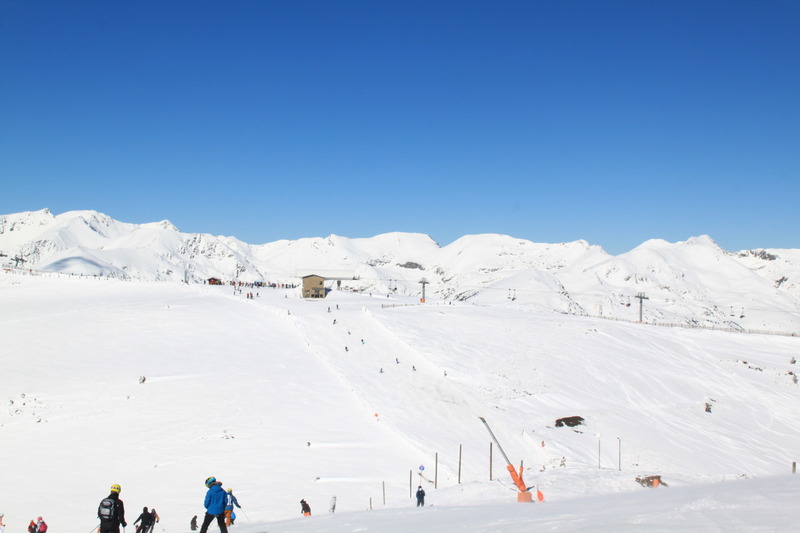 Pass the El Cortal chair lift which will be on your right and here you will pick up the long Les Marrades. Notice all those long bends. On skiboards you can carve them with great pleasure including hand drags. Enjoy the ride to the bottom. At some stage you will wonder whether it will ever be over, and when it is, you'll wish it wasn't. Some of the bends are in the shade and some in the sun. This makes each bend a different proposition. Keep an eye open at the bends as this is where most inexperienced skiers and snowboarders crash out. 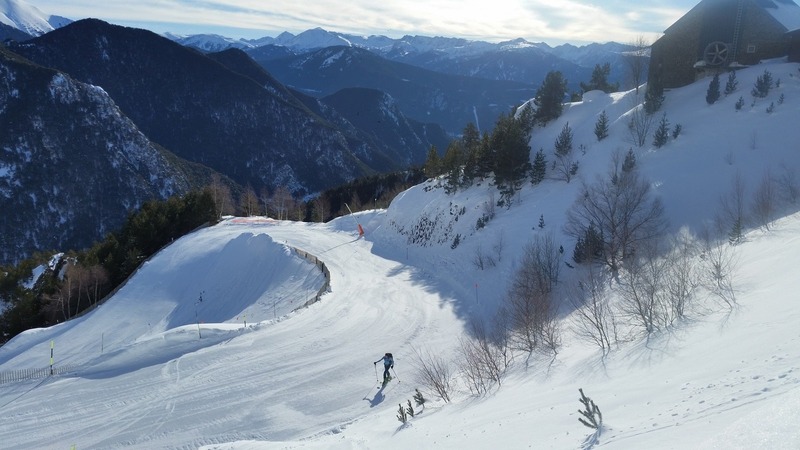 The Les Marrades ski track is the last part of the longest vertical run in Andorra (see previous post). 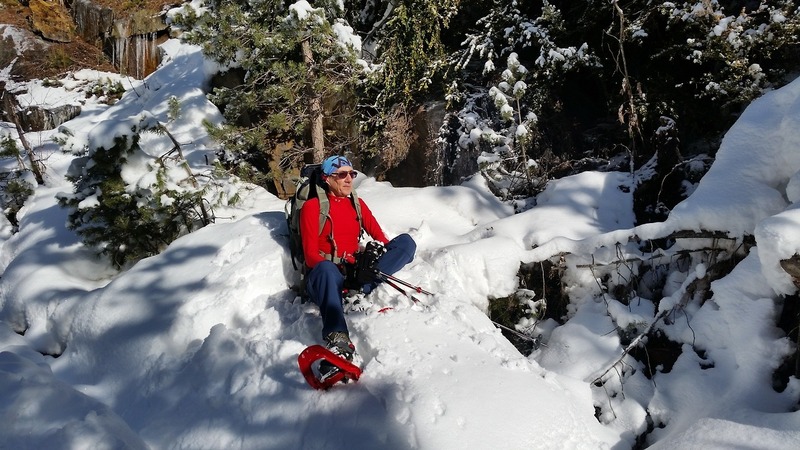 It is also an easy (as in terrain) way to use backcountry skiboards to get to the top. Here's me skinning up on Spruce Ospreys (photo by Karin Cronjé). The Pyrenees Alps all covered in snow. A new promotional video about my favourite Andorran ski resort - Ordino Arcalis - has just been released.